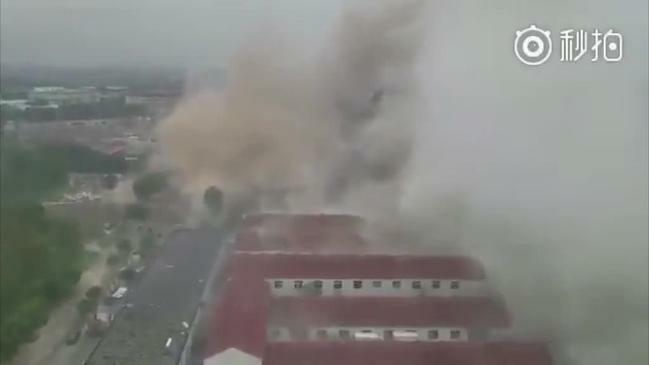 A major explosion in the eastern Chinese port city of Ningbo killed at least two people, local officials say. The explosion is said to have occurred at a factory at about 09:00 local time in the city’s Jiangbei District, causing some nearby buildings to collapse. Shattered windows were reported in businesses up to 1mile away from the site of the explosion itself. According to state media, at least 30 people had been taken to local hospitals amid rescue operations. However, while the number of workplace deaths in 2017 is reported to have fallen by more than 25% on 2016 – industrial fatalities still number at least 29,000 in the year to date.